Once St Tydecho was one of the most venerated of British saints. A cluster of churches bearing his name hints at that once important Tydecho pilgrimage trail. Dotted around a relatively small area of Wales, around the Gwynedd/Powys border, there are a series of churches all dedicated to a single saint. Today St Tydecho is barely known outside his Mawddwy heartland, and the surrounding villages. But throughout the Medieval period, pilgrims flocked to the places he'd been, seeking healing and blessing upon their lives. This 6th century saint may well have been present on the Camlan battlefield, and legends about his miracles abound, as do features in the landscape believed to carry his Christian mysteries. Most mysterious of all are some of the elements found in his churches! Located north of Dinas Mawddwy in Gwynedd on the mountain road towards Bala. In the name Tydecho alone, the saint had many places wherein he might be offering spiritual counsel at any given time. If he also went by other monikers - as I strongly suspect that he did - then his known locations spring from the handful to the dozens. But of them all, Llanmawddwy was patently home. His legends and hagiography alike generally agree that his favorite haunt was the wilderness above the village, in the cwms and crevices of the Aran mountain range. But if he wasn't lying on bare rocks up there, meditating in his hairy shirt, then he was down in the grounds where his church now stands. Until quite recent times, it was still possible to make out St Tydecho's Cell in the churchyard at Llanmawddwy. A small, stone built room in which the only comfort was shelter from the wild elements of the glyn. Little more than a kennel, it was the closest he had to a man-made home. Beyond which, he lived beneath the sun and stars. Once he'd passed, his body was buried within it. The spot instantly became a place of pilgrimage and continued to be long after the Reformation. In short, Tydecho was so respected that vigils where kept at his grave-side on a weekly basis, eleven centuries after his demise. Medieval monks used to visit each church and landmark left by this ancient Welsh saint. You could follow in their footsteps on a pilgrimage to St Tydecho. 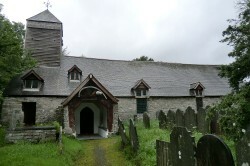 For centuries, St Tydecho's Church at Llanmawddwy was the Mother Church for the whole area. It certainly received a good many visitors, as the main drovers path over the Bwlch-y-Groes passed right by its doorstep. It's been demolished and rebuilt or repaired a dozen times since Tydecho prayed within its precincts. The church there now is practically modern, yet hints of the past remain. The stonework around the entranceway is scored with the notches of thousands of swords, sharpened there for blessing and luck before a battle. More recently, the graveyard was filled with the local dead - ornate 19th century gravestones sprouting up amidst the yews and grass. Outside the east wall, the Garreg Offrwm (offering stone) awaits the funeral pennies given to gravediggers and parsons. Llanmawddwy is closed to visitors now. Locked up; left to memories and dust now that the drovers are gone and the faithful want somewhere a little more accessible to serve their spiritual needs. But the yews remain. Monumental trees dotted around an oddly curvilinear churchyard, which betrays in its shape that it wasn't always a Christian site. The druids had their stake here long before all that. A couple of those yews overlooked them in their grove. To visit St Tydecho's Llanmawddwy Parish Church today is to find a lonely place, isolated upon a long country lane. It is beautiful, bursting with a peaceful energy born of countless generations coming here to worship, and the views over the Cwm Dyfi are fabulous. Bring a picnic and relax. Do as Tydecho did himself - meditate, breathe and let the landscape teach you its song. However, it's best not to get too complacent and fluffy about these things. Tydecho's world is a wild place and its awen is filled with awe. A muse appearing in these parts is likely to be Cerridwyn. Just down the road from Llanmawddwy is Aber Cywarth, where fiercely gushing well springs are dedicated to Tydecho. It's also the place where Ellis Wynne penned his thundering, fire and brimstone tale of Welsh mountain fey dragging a man into Hell. 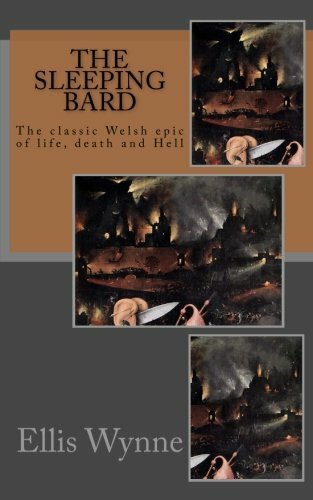 The Sleeping Bard includes cameos from Taliesin, Merlin, Maelgwn Gwynedd and other personages contemporaneous to Tydecho. Wynne's translator George Borrow took one look at Fynnon Dydecho and blamed the whole glen for that classic story's unleashed passion and wild tone. Llandybbo reputedly pre-dates Llanmawddwy itself as a site of St Tydecho's mission. By leaving Llanmawddwy (or Aber Cywarth, if you dare) and heading south, you will pass through Dinas Mawddwy. I recommend turning left at the Red Lion pub (Y Llew Goch) for convenience, but either road will bring you onto the A470. You will need to go left towards Mallwyd. If you were taking the sensible route around St Tydecho's churches, then this is your big moment to stop at the mid-13th century one in Mallwyd. But that wasn't the original site, and I'm writing about them in order of age. At the roundabout, go straight over, passing the Brigands public house on your left and remaining on the A470 towards Llangurig and Machynlleth. Wave to Mallwyd Church, also on your left (or stop being daft enough to follow my routes and just go on in there). Continue on until Aberangell, then turn right into the village. At the T-junction, find somewhere to park up, then head on foot up the hillside to the south-west. This is Cefn Llandybbo. Once you're up on the summit of Cefn Llandybbo, you will no doubt be cursing me. Nothing remains of St Tydecho's Church there, except for a slight rectangular shape in the ground towards the northern corner. It was gone by the 13th century, possibly much earlier. However, it's worth having a good look around you at the neighboring mountains. To the north, over the neighboring Pen-y-Clipiau, you will be glimpsing one of the most famous mountain slopes in Wales. That's Camlan, known to the whole world as the place where King Arthur was killed. Incidentally, most genealogies state that Tydecho's mother was Anna, daughter of Meurig, which would make Arthur his uncle. They were certainly contemporaries. The soaring ridge to the east is Mynedd y Cemais (Mountain of the Welsh/or River-bends - no-one can seem to make up their minds). Beyond that is Mynedd Rhiw Saeson (Mountain of the Ridge covered in Saxons), which gives you a clue as to why Camlan was really fought. Camlan's infamous battle sites covered a wide enough area that most of Tydecho's churches would have witnessed fighting, or the aftermath. But Llandybbo was smack bang in the middle of where it all kicked off. There are legends which place him and his sister St Tegfedd right there dealing with the dying and injured too. Down below to the north is a valley which once belonged to the church on the hill, as did several other pockets of land locally. Llandybbo was once a rather wealthy hub of Christianity. This may in part be due to the fact that the hill to the south is called Trecaereinion (town of Einion's Hillfort), and Einion was ruler in Powys shortly after the Battle of Camlan. Llandybbo bore the alternative name of Caereinion Fechan (or Vechan, or Vychan), which meant the little hill-fort of Einion. I think we can assume that Tydecho's Church enjoyed royal patronage. As late as 1277, Llandybbo church was still appearing in official charters, despite having already been superseded by its new premises in Mallwyd. Gruffydd ab Gwenwynwyn mentioned it in his charter of that year, though his clerks spelled it Llandyboe. Llandybbo would have stood on a hill just to the south of Pen-y-Clipiau. Anyone there would have been able to view both mountains quite easily. Historians argue endlessly about the location of Camlan, where legend relates that Arthur and Modred were killed. The locals just know. You may visit Camlan battle site. Of all St Tydecho's eglwysiau, this one intrigued and held me there longest. There are plenty of curious features to delight and cause pause for thought at Mallwyd's Church. Not least the legend upon the bell tower, which reads 'Come and we shall sing' or 'Venite Cantem' in Latin, or the truly ancient yew trees in the circular church grounds - believed to be the remains of a druidic grove, before St Tydecho came preaching. However, the most striking element has to be the enormous bones criss-crossed above the entrance arch. To some they are mammoth tusks dug up locally. To others, they are the ribs of a whale caught in the Dyfi. To others, they are the tusks of the Twrch Trywyth, the giant wild boar whose capture was described in the Welsh legendary tale of Culhwch and Olwen. Or the remains of a lake monster captured nearby. It seems a shame that we might ever find out. The speculation is too delicious. The whole town is testimony to St Tydecho's presence. By repute, he bimbled off the hillside opposite, leaving Llandybbo's heights for the lowland plain, in the aftermath of Camlan. He then invaded the grove at Camlan's base and established a church there. Though not without some prompting. Legend has it that Maelgwn Gwynedd presented Tydecho with the land at Mallwyd for his church, in exchange for the good saint releasing him from divine imprisonment upon a blue stone above Llanmawddwy. Another story is alluded to inside, though sadly without any further details to elaborate upon it. A stained glass window tells us that the saint was stoned to death in the presence of a chieftain. But that's all. I've hunted without success for the tale to match the picture. There's a plethora of anecdotes to tell us that rulers detested him, but none whereby they follow through with rocks. The people seemed to like him though. Until fairly recent centuries, the town of Mallwyd - sacred/grey field or plain - was called Tre'r Llan - town of the enclosure - suggesting that it grew up around his church, rather than the more usual way around. However, there is little else to see regarding what the sacred enclosure looked like back in Tydecho's day. The church itself was extensively rebuilt in the 17th century. Which isn't to say that it's not fascinating for all that. Especially if you pick your times to attend a service. Mallwyd is one of the few places in Wales which still regularly performs the plygain. That is the local people filling the church with nothing but song for hours, unrehearsed, unscheduled, singing because to praise and live is to sing unfettered. Venite Cantem indeed. St Tydecho isn't the most famous aspect of Mallwyd, just the man believed to be at the root of its foundation. 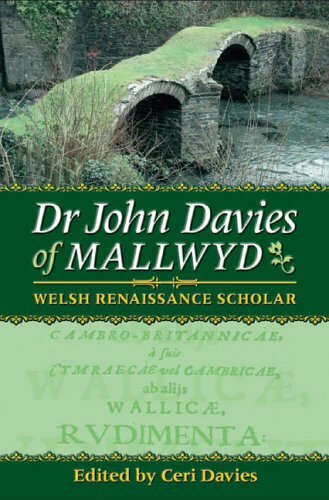 John Davies was once rector here - a man hugely associated with the Welsh renaissance; a collection - and preservation - of Welsh legends; and his assistance to William Morgan in writing the Welsh Bible, a feat largely credited with the survival of the Welsh language. He also had his own ideas about where the font should be, much to the annoyance of Archbishop Laud, in the center of his church. When his superior ordered the font's position changed to conform to standard practice, Dr Davies merely waited for the archbishop to go away, then moved it straight back. In his capacity as eminent lexicographer, Dr Davies coined a word which has proved useful for connoisseurs of the Celtic Otherworld. Gwyllion entered the dictionary through him, acting as a plural for Gwyll or Y Wyll - the twilight creatures. It's used to describe wild night-wanderers of many a different hue, but mostly not the human kind. Ghosts, spirits, the avatars of the land, or even outlaws living wild, have been tagged with this epithet. But mostly Gwyllion denotes the Bacchanal mountain fey, who haunt the peaks around Mallwyd and Mawddwy wearing ash-colored clothing, donning oblong four-pointed hats, carrying pots and crying out 'wb!' between bouts of disturbing laughter. They will enter homes, cause chaos and lead travelers astray, unless iron is produced to scare them away. Moreover, next door to St Tydecho's church is the Brigands Inn. 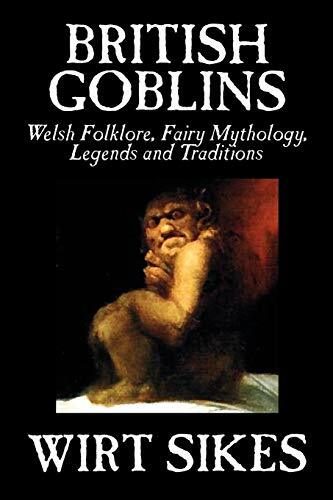 Its name recalls the Gwylliad Cochion Mawddwy, about which legend cannot quite make up its mind on whether they were a 16th century human clan or a fey tribe. There's a hill in Mallwyd, behind the church, where the red-haired bandits were said to have been hanged en masse for the murder of a local baron. There are other stories which say they're still around. 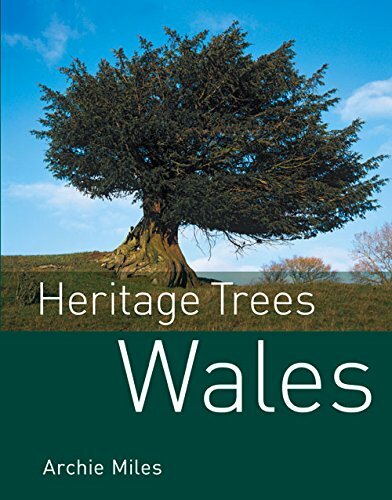 Academic greatness, ancient trees and wild creatures of the mountainous twilight - yep, that sounds like the Mallwyd I know and love. Continue south from Mallwyd and St Tydecho's next church is just a few miles down the road towards Machynlleth. Over the centuries this location has variously been recorded as Kemeys, Cemmes, Cemais, Cemmaes and more besides. It translates as 'bend in the river', i.e. Afon Dyfi flowing right alongside the church. Between St Tydecho's Cemaes Church and the riverbank is situated one of the many locations wherein a well can be found associated with the saint. Hidden away in woodland, beyond the cemetery's northern wall, the pool is fed by the Dyfi. It's quite a sizable structure - 6ft by 4ft with 2ft of water and steps leading down into it. Generations of pilgrims know it as another Ffynnon Dydecho (Tydecho's Well). Though the exact properties for which they were bathing have not been recorded, the saint was accredited with healing blindness, deafness, rheumatism and lameness. Any of which - or general health and blessing - might apply in this dark, tree shrouded pool. As with all of the other Tydecho churches, Cemaes has older foundations utterly obliterated by rebuilding in the Middle Ages (in this case the 15th century). Then the Victorians came along and it was game over. Mostly what you'll see at Cemaes is a 15th century shaped building, with a contemporary roof and part of a wall. But the general feel is 19th century. It takes a little imagination to pin the landscape down to Tydecho's time. The main clue is in the shape and aspect of the churchyard. It's semi-circular - with all that suggests of supplanting druidic groves - with a scattering of ancient yew trees (there used to be more, but Victorians...). The largest of them stands alongside an old lychgate marking the spirit or corpse trackway up into the mountains, and the inevitable Bronze Age burial site above. In this case, the prominent edifice of antiquity is the Bronze Age Moel Eiddew (aka Moel Eiddlaw) up on the mountain top. This enormous - and undisturbed - peat mound and cairn translates as Ivy Hill. With its source just below, the Nant Coegen (Coquettish Stream!) runs practically from the cairn to the churchyard, then empties into the Afon (River) Dyfi. Was Moel Eiddew the inspiration for all of the vine leaves which once notably adorned the interior of Cemaes's Church of St Tydecho? Hardly any remain, but for a small section of ornate carving below the gallery, but once there was a rood screen festooned with the same, complete with a cornucopia of flowers and fruit. Wherever St Tydecho goes, tales of oxen and/or ploughing appear to follow soon on. The one at Cemaes is particularly strange and not a little traumatic. Hu Gadarn (Huw the Mighty, Bardic spirit/legendary figure/personification of raw awen/inventor of song) took his two Exalted Oxen to the mountain range here. Then he split them up, one on the mountain ridge of Cemaes and the other on Newydd Fynyddog hill at Llanbrynmair. The gigantic creatures could see each other from afar, but not reunite. They both died bellowing from the grief of separation. Whereupon the bull in Llanbrynmair was skinned and its hide stretched as wide as it could go. Hu Gadarn placed standing stones all about its circumference. 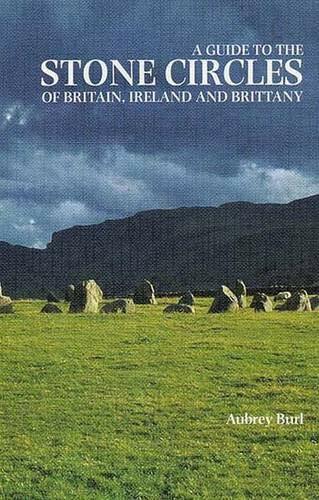 The resultant stone circle measures 79ft (24m) around and it's called Lled Croen yr Ych (Width of the Ox Hide) Stone Circle. Though slightly random in its mention here, note the legend of those oxen, as they are going to come up again in connection with St Tydecho. Gaining this church was the stuff of legends. The landmarks haven't stopped being legendary yet - give or take those recycled into the scenery. Living with her brother, in and around Mallwyd or Llanmawddwy, was St Tydecho's much maligned sister Tegfedd. She appears to have spent most of her life being seized by some chieftain or other, then being returned unscathed after Tydecho prays for swift divine retribution. This time, it was a local ruler named Cynon who had taken off with the maiden. A quick word with the Almighty later, Cynon and all of his men were struck blind. Or besieged by an endless thick fog. Nevertheless, they managed to navigate the wilds of Mawddwy in order to track down Tydecho, hand over his sister and beg forgiveness. 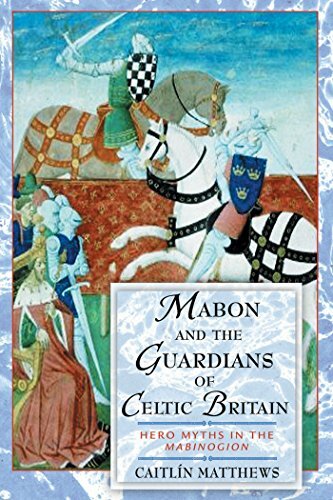 It cost Cynon a donation of land for the cause of Tydecho's mission, complete with bestowed exemption from all associated tributes, tithes and taxes. This became the site of his church in Garthbeibio. In the Norwich Taxation records (1254), it was referenced as the Capella de Garthbeiboau. By 1291, the Lincoln Taxation records were calling it the Garthbeybyau chapelry, a satellite of the mother church in Llanmawddwy. By road, they seem a fair distance apart, but over the mountain on foot, their locations aren't too far removed. Though undoubtedly dating from the 6th century, there is little to show of such age at St Tydecho's Garthbeibio Church now. It was almost completely rebuilt in 1862. There's a medieval font inside, plus its western wall is of equal antiquity. But even they were inserted much later then Tydecho was around. Instead you will have to muse upon its aspect nestled within its polygonal churchyard, surrounded by ancient yew trees, high upon a knoll. Down below are two rivers - the Afon Banwy (crooked river) and the Afon Twrch (boar's river). To the west are the peaks of Carreg y Fran - Rock of the Raven, or Bran's Rock - Moel y Llyn (hill of the lake), Tir Rhiwiog (Horse's Peak) and Y Berwyn (Bryn(iau) Gwyn (ap Nudd) - i.e. Hill of the King of the Otherworld)). Somewhere upon that ridge sits the huge Carneddau'r y Gwragedd (Cairns of the Women). Triple barrows which are said to mark the spot where three women seeking to attend church were caught in a snowstorm and died. Each female in the district then carried a stone up in her apron and laid it over them as memorials. The church door faces all of this. Garthbeibio's entrance is orientated north-west, hence looking straight towards Llanmawddwy, give or take the huge hills in the way. Time, antiquity and the blasted Victorians have robbed us of all but the hillside itself. But history and legend does provide information about what was once there. The church itself is surrounded by yew trees, only four of which are truly ancient. The rest were planted by the Victorians, presumably because the ones they cut down weren't neat enough. There was also talk of some 'curious oak carvings' or 'curious stone carvings' (depending upon the source), which the rector removed circa 1873. However, no word about what made them so curious. More greatly attested were the three wells here associated with the church and its founder. The first was St Tydecho's Well, which resembled a pool rather than the circular shaft more commonly evoked by the word 'well'. It sat below the church with a stone carving of the saint's head situated at its northern flank. People came from miles around to bathe in the waters for its healing properties. It was said to be especially good for curing rheumatism. Sometime in the mid-19th century, vandals removed said stone head and threw it close to the river. There children were spotted playing with it, before they tired of the sport and cast it into the river itself. That was the last it was seen. As for the well, the Victorians diverted the water into a drain to furnish the houses along the road below, then filled in the pit left behind with rocks. Close by (and receiving the same Fate) was Ffynnon Rhigos - Well in the Heather (plural/abundance). This well appears to have been viewed as extremely holy by the local people, who would turn up en masse during certain festivals in order to drink from it. It had a reputation for being very cold and for healing ailments of the eye. Alongside the narrow lane (Wtra Ddu) leading up to the church was the third well - Ffynnon Ddu (Black Well). Little is known about that. 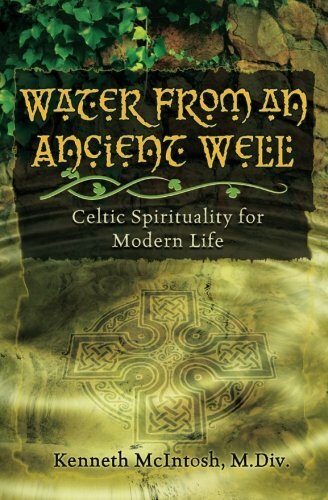 The Welsh have always felt the divine in oceans, wells and lakes. That sacred tradition lives on in wishing wells. It seems that two giants once clashed upon the mountain tops overlooking Tydecho's church. 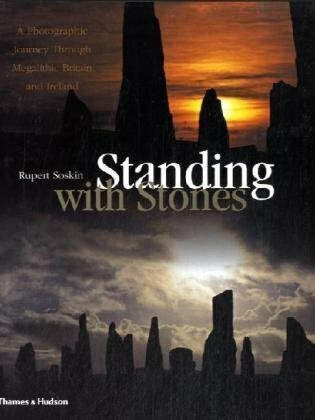 One standing on the ridge of Gogerddan threw a large boulder, which landed in a field at Llymystyn. 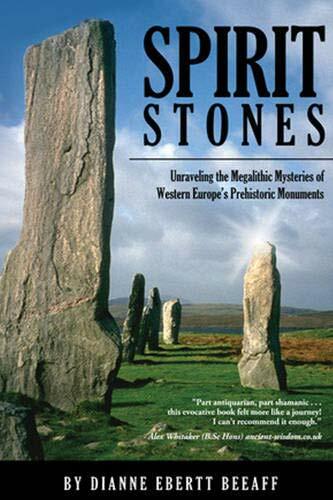 The resulting monolith was called Maen Hir - tall stone. In retaliation, the giant on the peak of Esgair, above Llymystyn, hurled an 'immense stone' towards its foe. Similarly discovering that the aerodynamic properties of huge rocks aren't fabulous, the giant watched as the missile embedded itself into the hillside close to Garthbeibio Church. The ogre's gigantic fingerprints still crushed into its side. Y Maen Llwyd - the sacred stone - still appears on local maps, but the monolith which it marked no longer exists. It was smashed to smithereens in the early 19th century. Ditto the Cae'r Dentyr Cairn close to Foel's Twrch Bridge, which was broken up to build said bridge; Bwlch y Fedwen Cairn, which had a circumference of over 60 yards, until its stones were used in the construction of two farmhouses; and the Rhos Domen, another neolithic site of which nothing now remains. More closely connected with Tydecho are the profusion of 'groes' (cross) stones in the area. They don't look like crosses, merely slabs in the peat south of Moel y Llyn. But collectively they become the Mawnog Cerrig y Groes (crosses of the peaty rocks), or Llechwedd Sarnau (rocky road) creating a trackway from Mallwyd to Garthbeibio Church. According to legend, 500 fighting men once found their way into the saint's presence here. The saint managed to see them off again simply by being more unnerving than they were. But to my mind, the most curious aspect of all is the name. Why is St Tydecho calling his churches after someone called Beibio? These neolithic monuments would already have been ancient by St Tydecho's day. Nevertheless some have been linked with him. What is the Link Between St Tydecho and Dybbo/Beibio? The saint's name can alternatively be rendered Dudoch - as occurred historically in Llanmawddwy - but Beibio is a bit of a stretch. There's a certain amount of interweaving between the names Tydecho and that of Beibio, or variants. We first saw that in Tydecho's original church of Llandybbo. It's even more stark in the small Garthbeibio hamlet of Foel, where the old chapel perches upon the eponymous hill overlooking the Banwy Valley. Yet despite this recurring theme of Beibio, it's never once explained. Both chapels bearing this name have been dedicated to St Tydecho since antiquity, and their foundation legends revolve solely around him too. 'Llan' technically meant enclosure, though so many early Welsh saints required land to enclose (in order to consecrate so that their dead might be buried) that 'llan' has become synonymous with ancient churches. 'Garth' is pretty much the same thing. It's actually a Middle English word meaning 'garden', 'enclosure' or 'paddock'. However, it occasionally comes from 'caer' in Welsh, which denotes a fort or hilltop settlement. Incidentally, there's also an Ynys Beibio near Caergybi/Holyhead. 'Ynys' means 'island' and you can't get much more enclosed than that! So who or what is Beibio and where is the Tydecho link? In truth, nobody knows, though there have been attempts to stick a random Saint Beibio in the area, just to cover it. Peibo Clafrog (aka Peibio Clafrog, Pepiau Glavorawc, Peibiawn Glawrawc, Pepianus Spumosus) ruled Ergyng a generation before St Tydecho was knocking about. His epithet is generally translated as 'scabby', 'dribbling' or 'leprous', and relates to the fact that he couldn't stop dribbling. Garthbeibio and Ynys Beibio are both said to be named after him. Though no records explain why a ruler in what's now Herefordshire, Gloucestershire and Gwent should have scattered his moniker over landmarks in Powys and Gwynedd. Peibio, as mentioned in the Welsh legend Culhwch and Olwen. He and his brother Nynnio were both insane kings, who weren't content to rule only their kingdoms, but wanted to own the galaxy too. The giant Rhita Gawr - whose stomping ground was Snowdonia - had enough of their arrogance, so turned them both into oxen. In the 17th century, the bard Iolo Morganwg composed Triads about the legendary Hu Gadarn, who shackled Peibio and Nynnio to yokes, in order to use their strength to drag the monstrous Afanc out of the Lake of Floods. Thus Wales was saved from inundation and the Welsh were introduced to the concept of ploughing. Though half of Wales claims to have the afanc's lake in their vicinity, there is one contender close by Garthbeibio. Llyn Llion is sometimes said to be an alternative name for Llyn Tegid, or Bala Lake, just over the mountain. From there the creature was said to have been dragged into Cwn Ffynnon, which is located above Llanmawddwy, just up the valley and around the hill from where Gwely Tydecho may be found. So maybe an obscure Beibio link lies there, lost in the depths of a remote mountain lake. After all, the Afon Twrch flows by there too. 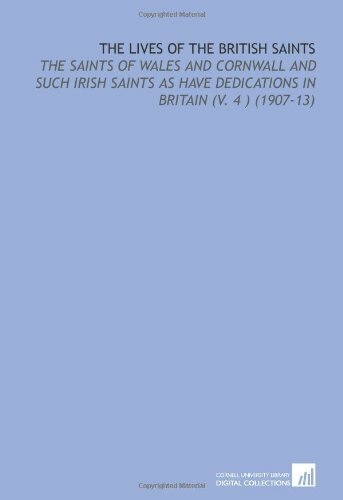 These are only those consecrated to St Tydecho under that name. There's a case to be made for him acting under many more names, with dozens of churches attached. Like a Celtic knotwork twisting in and around itself, faith and themes repeat through the ages, and often blend into one. 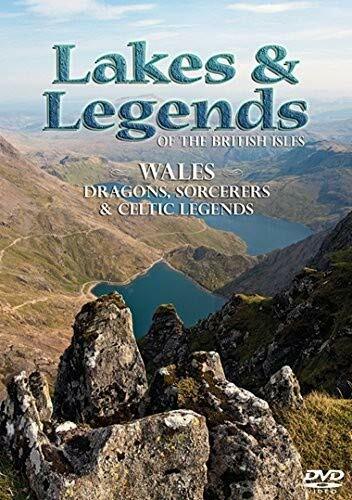 A beautiful singing baby and the wrath of a shape-shifting Goddess are just two of the wonders that turn up in the childhood(s) of this legendary Welsh bard. It is apparent you know this quite well. Oooh! I hadn't connected the actual physicality of the tree, other than its longevity. Yes, you're absolutely spot on. I love it when new angles come in to long known stuff. Jo, you set me off on a train of thought when you said that yew trees were useful meeting places. As a horticulturalist I think about plant characteristics. Two characteristics make the yew suitable. It has branches that spread wide, meaning that many people can be sheltered under them; and as the tree is toxic,its shed leaves and arils [berries] are toxic also, so little grows on the ground under its canopy, ensuring that there was an unimpeded place for people to sit. But yes, Ronald's work is always worth reading. The tree that links worlds is a theme full of mythological significance. I was unaware that in Welsh myth the yew had this function, but the yew's presence in English churchyards would indicate that a Celtic idea carried on into the Saxon period.The linking of the Middle Earth with heaven was being symbolized in this practice. Ronald Hutton, writing in Pagan Britain, says that the neolithic folk avoided activity on Caburn hill in the South Downs and links this avoidance to the fact that the summit has been shown to have been covered in yew trees. The site was too holy to touch. So the yew has been venerated in this isle for a very long time indeed, for it was an idea that seems well established in the neolithic period, so must be older, maybe mesolithic. A badge on your profile means that you've received three Editor's Choice awards. Well done! The thing with yews is that they're so long lived. They can exist around 1000 years or more and so feel very sacred. Plus they're poisonous. Life and death in one big beautiful tree. There are Welsh traditions whereby the yew can act as a ladder between the worlds. Hawthorn is sacred to the goddess, particularly the May Queen. She marries the Oak King then. On my screen there is a badge. However, I did receive an email telling me that I have a badge on my profile and when I looked it up you have the same. The idea that you proffered, that the sacredness of yew predates druids, is one that has weight to it. While the druids revered trees, their main tree was the oak, even their name derives from the Celtic term for oak. 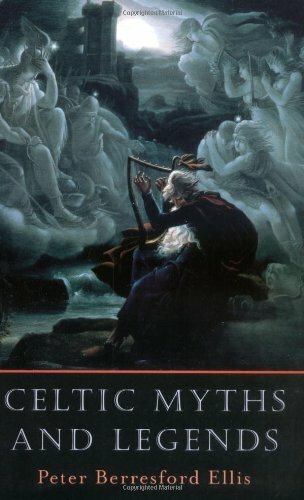 That the sacred status of oak faded with the ebbing of druidry, while the sacred status of yew did not, suggests that yew's sacredness derives from different sources, and I suggest that it is deeply rooted in British prehistory, so deeply that it was taken into the new Christian cultus. Hawthorn is the same. Sacred to the goddess, hawthorn trees can often be seen in the middle of ploughed fields, as some farmers still won't risk the bad luck that comes from felling them. This is a belief that almost certainly goes back to the neolithic age or before. Did I momentarily have an Editor's Choice award? I don't see one now. LOL But I'll take the spiritual one, awarded by you. I've missed Wizzley too. 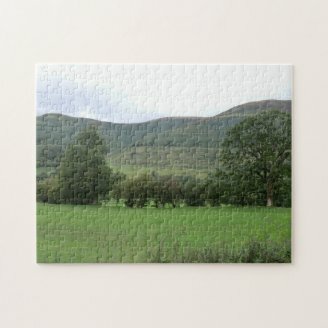 It's been a little chaotic in real life, plus I've been building up my Zazzle stores. I have a pile of articles to write here though, so hopefully I'll get more time to do so hereon. The antiquity of some of Britain's heritage yew trees has to pre-date Christianity. 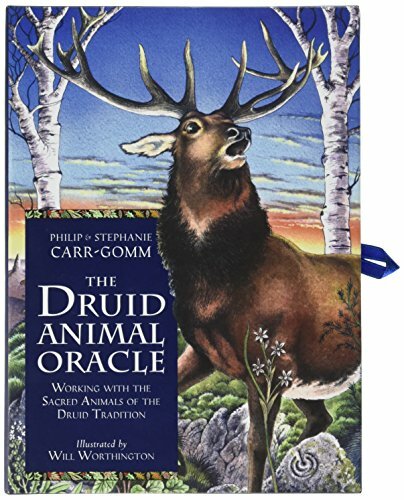 I'm sure some pre-date the Druids too. Oooh! It honestly hadn't occurred to me that Beibio could have been a Pagan deity! That opens up a whole new ball-game. Thanks for the imput. It's moments like this that I remember why I like chewing these theories over with you so much. 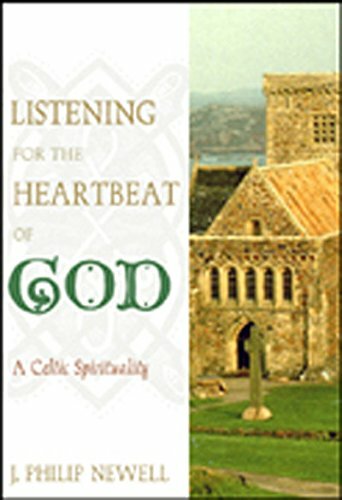 Congratulations on your well deserved editor's choice, It was so good to read another of your articles on matters Celtic and spiritual. You have not written as much recently and I have missed you. Yew trees are an enigma. Some claim that yews on ancient church sites are pre-Christian, which is what I think, but some think them a Christian input to signify eternal life. 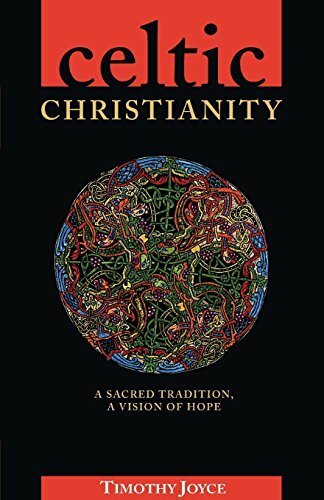 But there is no ground in Christianity to make the yew sacred, so in my opinion they are of pagan origin and are part of that unique British way of expressing Christian devotion with pagan cultural elements that makes these isles so interesting. The link between pagan sites and subsequent Christian churches is evident in the Tydecho churches. Beibio and Tydecho. 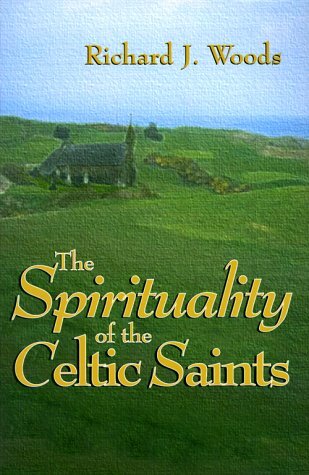 As you know several Christian saints are Celtic deities, and we have agreed before that Tydecho and is Tegfedd were in this category. Beibio may be another Celtic deity. It was well known for the culti of pagan deities to become conflated with each other, with one dominating the other and reducing it to almost nought, and this may have happened with Beibio. You wonder about how a ruler from Herefordshire and Gloucestershire should have markers in Wales. I suggest that Western England and Wales are only distinct entities on maps, and they phase into each ethnically and culturally. There are people in the West of Hereford who feel more Welsh than English. Beibio may have been an ancient deity across West Britain whose name lingers in disconnected sites.